Sometimes homebrewing articles give very sage-like advice. “If you really want to take your beers to the next level, you need to do this…” If you’re like me, you lap that up, digest it, and see how you might incorporate whatever process/technique they’re talking about into your brewing. I’m not personally vouching for or debating the value of fermentation temperature control, but I introduce that topic as the starting point of this review. I’ve seen it mentioned multiple times in some of these articles and became a variable I wanted to get better control of. Whether something makes a notable difference or not in every batch I brew, my approach is to eliminate as many of the variables out there that can ruin a beer and on the whole it should allow my process to become more repeatable. Fermentation temperature control doesn’t necessarily come cheaply. There are some manual methods out there that require a lot of active participation in the heating or cooling process, but there are also methods that utilize a controller of some sort to regulate cooling or heating if the beer temperature strays from your desired target. The BrewJacket Immersion system uses a solid state cooling mechanism to control heat flow into/out of the beer. This is the heart of what makes the BrewJacket unique. Thermoelectric cooling uses some fancy physics principles to work. When 2 different conductive materials and put together and an electrical current is passed through it, one becomes warmer than the other. Slap a heat sink on one side of that and you create a heat path that has one side sending heat out into the environment and the other getting colder. 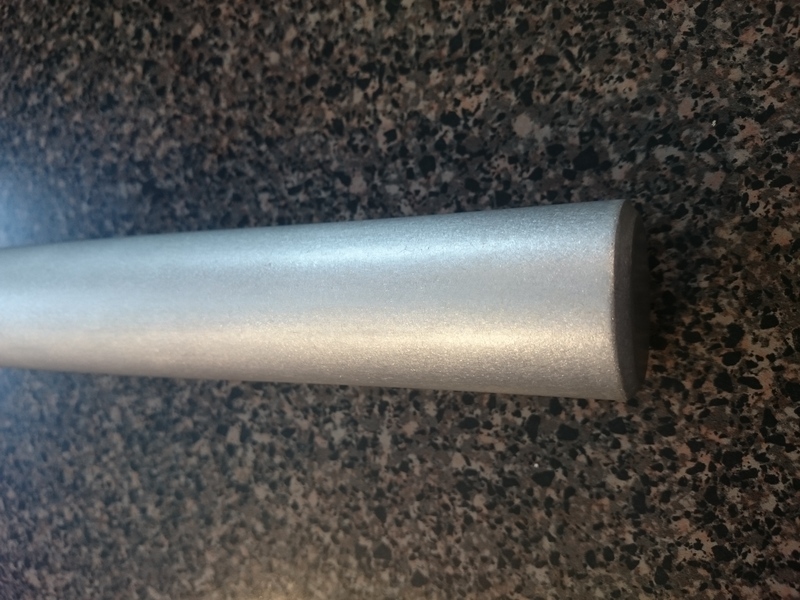 You can use this same device as a type of heater by heating one side of these 2 materials and then creating a heat flow in the other direction. 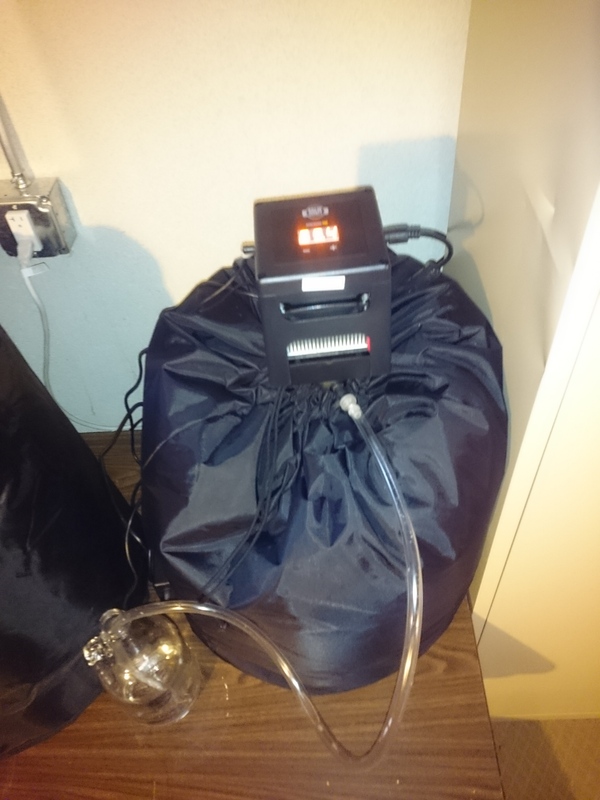 BrewJacket patented the system that makes use of this type of thermoelectric system for homebrewing. 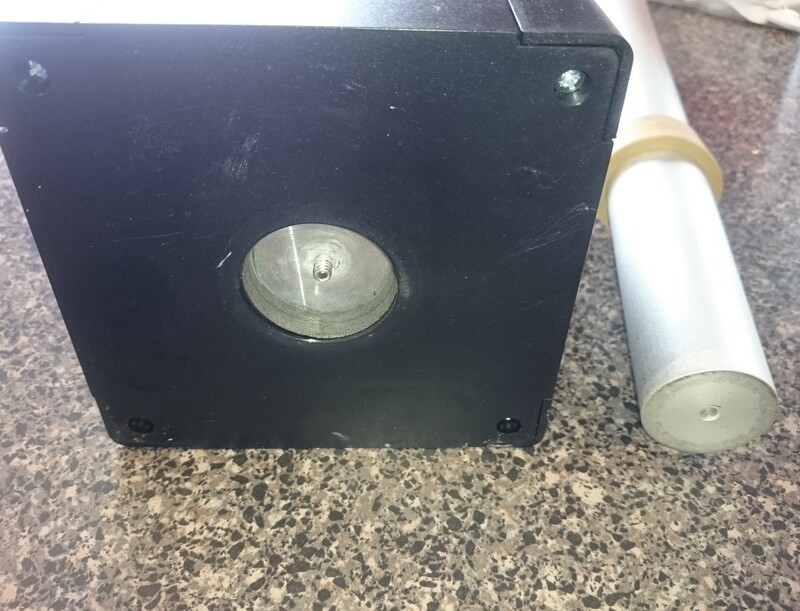 This thermoelectric device gets combined with a large metal rod that gets “immersed” down into your fermentor, and a controller where you set a desired temperature. From a practical standpoint, you obviously don’t need to worry about the physics that make it work. 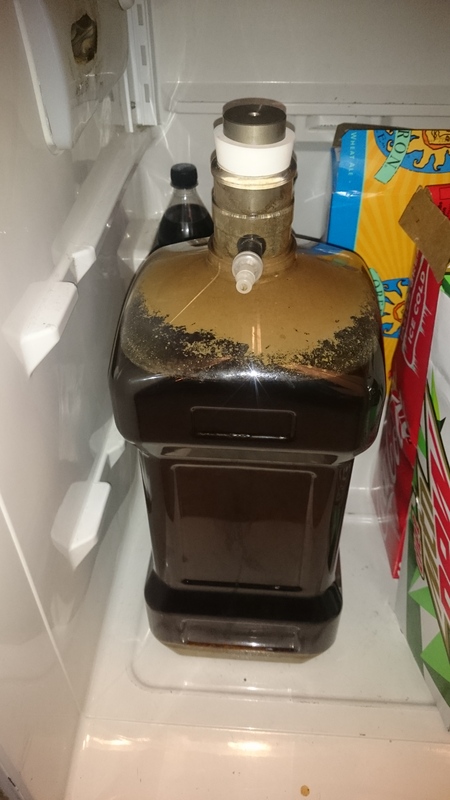 But it’s unique (so far) in the homebrewing world, so worth the explanation. The BrewJacket comes in 2 versions, a BrewJacket Immersion which just functions as a chiller and can lower the temperature of your fermenting beer below room temperature, and a BrewJacket Immersion Pro that functions as both a heater and chiller relative to your room’s temperature. 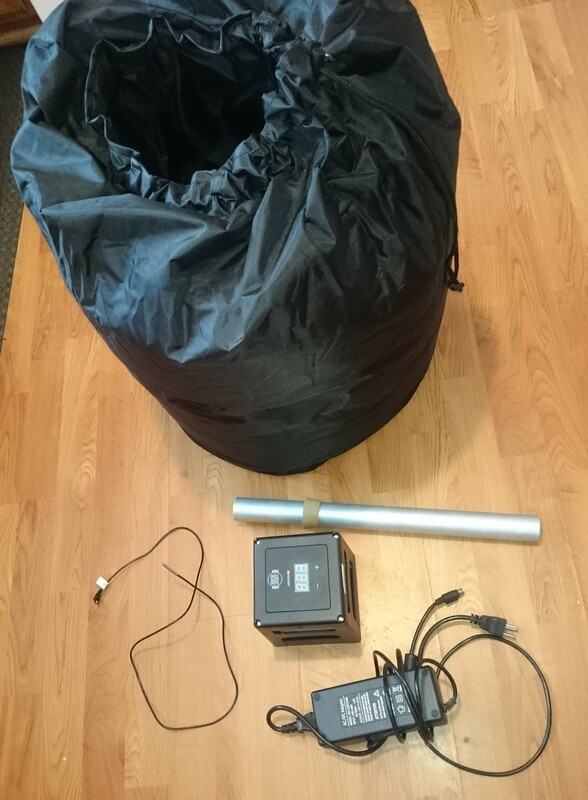 The system is comprised of 3 basic parts- the controller/heat sink head unit, the immersion rod that is physically connected to this head unit and extends down into your fermenting beer, and a big giant insulated bag to stuff your fermentor in. The chiller-only version gets you into lager fermentations at 50 degrees F in your 65 degree basement. 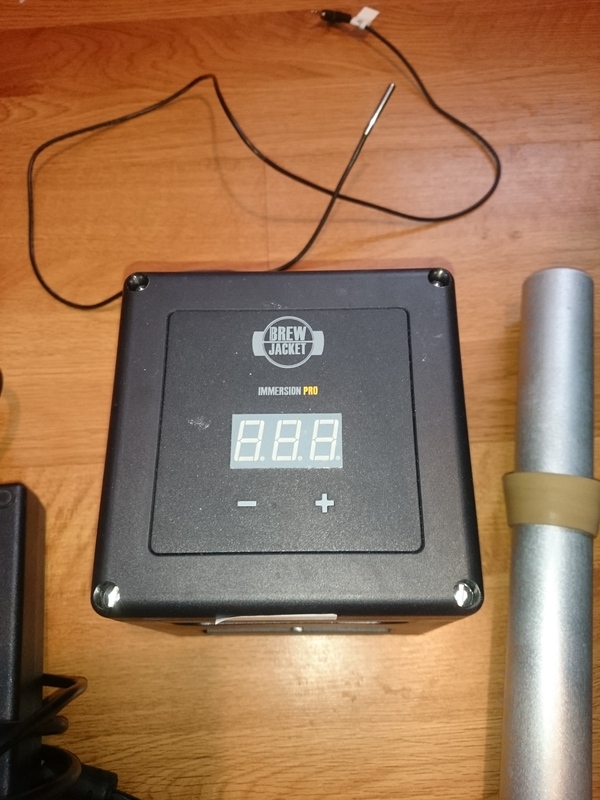 And the heater/chiller version comes in handy for ale fermentations where you want some repeatability of fermentation temperature when brewing in the winter versus brewing in the summer. For the control head, you don’t have to think about thermoelectric physics. You just simply have a ‘+’ and ‘-‘ button to adjust your target temperature, and a display that shows you your target and actual temperatures. Actual temperature is measured by means of a temperature lead that gets plugged into the control head, and the sensor end you stuff down to sit in between the outside of your fermentor wall and the insulated bag. No special programming skills required, you just hit the buttons and adjust your desired temperature in 0.1 degrees F increments. You don’t even have to remember to hit an ‘enter’ button. Change it whenever you want. If the temperature measured by the probe is different than the target you set, the thermoelectric bit kicks in and turns the unit into a heat flow path into or out of your beer, depending. The immersion rod itself is made of a highly polished and anodized metal rod that makes it easy to clean and sanitize. 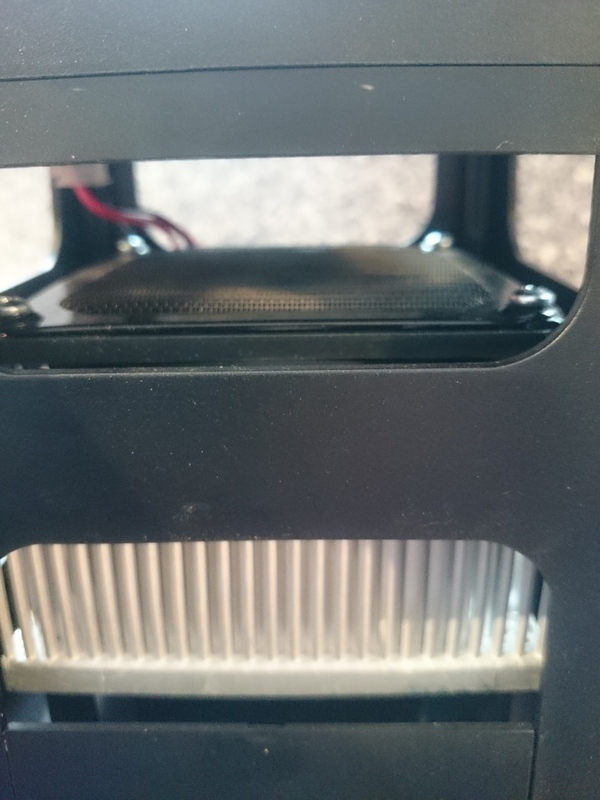 It screws into the base of the control head and makes the connection to the thermoelectric heat transfer machine. After fermentation, it unscrews and allows easy cleaning to prepare for the next batch. They also sell plastic sleeves for the rod if cleaning isn’t your thing. The insulated bag your fermentor sits in reminds me of an overstuffed sleeping bag. The material of the bag is a durable black fabric that seems to stand up to wear and tear. There are different sizes/shapes to accommodate more fermentor designs, but they all serve the same purpose. The heat transfer capability of the thermoelectric machine isn’t necessarily that strong, so the thick insulation keeps the room temperature at bay and lets the immersion rod funnel heat into or out. 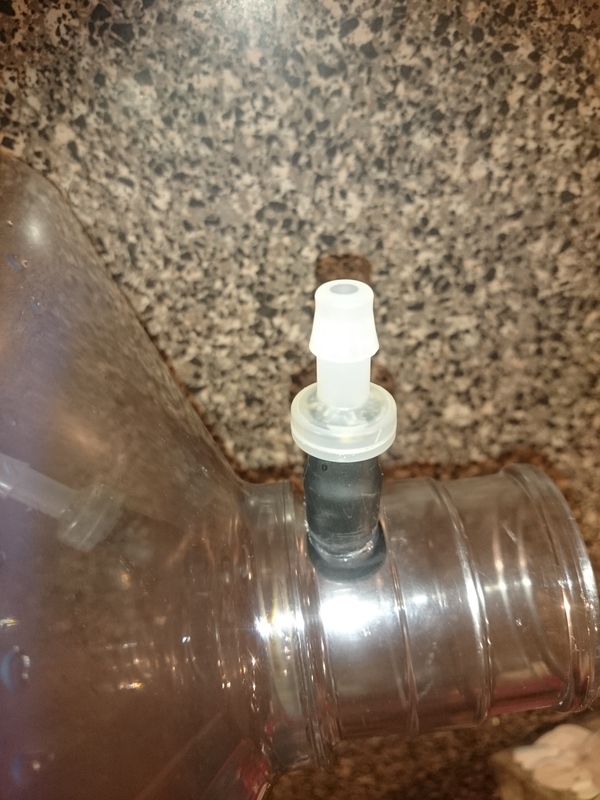 The basic setup comes with a nifty one-way pressure relief valve to allow CO2 pressure venting out of your fermentor without requiring a water-filled airlock. You can hook up the provided length of tubing and run it into a bottle of water to keep track of fermentation progress by counting bubble intervals. A nice feature of the one-way valve and immersion rod is taking your fermentor directly from conclusion of fermentation and into a cold crash. Just unscrew the control head and the metal rod stays in your beer to help conduct refrigerator temperatures down into the beer and help cold crash more quickly. And the fact you don’t have an airlock to worry about water (or vodka) getting sucked into your beer is great, too. The slow and steady performance of the thermoelectric machine doesn’t win any races. So the time to drop the temperature from post-wort-chiller to lager yeast pitching temperature took me up to 24 hours, depending on batch size and starting temperature. This part can be frustratingly slow for impatient people. But once you reach that target temperature, the slow pace becomes an asset instead of a liability. With low heat flows, the responding beer temperature change is slow. So you don’t get big swings up or down or any big overshoots. I found temperature would vary between 0.5 degrees above the set point to 0.5 degrees below it. And that swing happens at a slow pace over several minutes. The ‘set it and forget it’ aspect was definitely nice. For me personally, although I enjoy all of the interactive steps on brew day, when it comes to maintenance during fermentation, I grow bored fast. So being able to set the target temperature and then just not worry about it for a few days if I happen to be busy or travelling, is very convenient. The control simplicity is great of just selecting your target temperature and being done. You don’t have to study engineering graphs to understand hysteresis values, time delays, etc, it’s just simple. If you don’t have a large dedicated space for your brewing, the fact that this system disassembles and packs away as easy as a sleeping bag can be a huge bonus. Unlike a fermentation fridge, it can easily be thrown into a closet, on a shelf in the garage, or stuffed under your bed. If you’ve read some of those same sage-like articles purporting the benefits of precise fermentation temperature control, and have saved up enough bucks to take that step, BrewJacket Immersion Pro is a great option. Homebrew Reviews and More! Check out our extension homebrewing reviews library, our collection of resource posts and connect with us! Special Thanks to BrewJacket for providing the unit used for evaluation in this review. This entry was posted in Featured Reviews, Fermentation, Great Deals, Reviews, Reviews & Top Posts, Temp Control on February 19, 2018 by admin. I have used this 3 times so far and it does do as advertised for ales but I have yet to get it down to lagering temperatures in a house with an ambient temperature of 75 degrees Fahrenheit. It does very well for ales which is what I pretty much make all of the time anyhow. The rod does corrode in too acidic of a wort or wash. They do sell sleeves that the rod can go in to protect the beer as it ferments and they work well. The sleeves are 10 dollars for a pack of 10 and since I only brew about 7 times a year, this works out to less than 10 dollars a year to keep my immersion rod shiny and new and not worry about the beer being affected. It is a bit pricey for the brewjacket package but if you have limited space, its a no-brainer. I’ve been an original adopter of the brewjacket kick starter program. I’ve used the brewjacket on and off for a few years now. I don’t have any recent experience with the dual stage but I would just assume that it works all the same. (meaning it works!). The ‘biggest’ concern is dealing with the rod. The PH of the beer will degrade the finish. I was quit concerned about this and expressed my concerns to brewjacket. Since then, they’ve come out with a newer version of the rod but it has similar issues. Be sure to follow the recommended practice for sanitizing. Slow and steady for sure but solid. Good investment for those in a small space. I’d only recommend one if you’re short on space. If space isn’t an issue I wouldn’t purchase one.